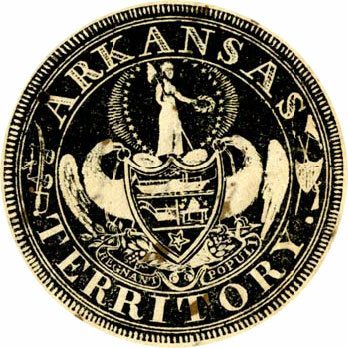 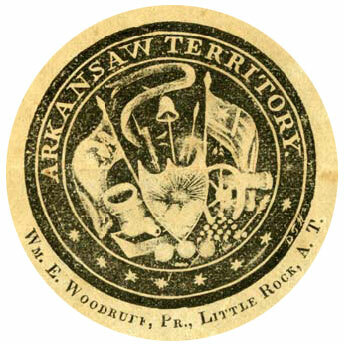 Seal of Arkansas (public domain image on Wikipedia). 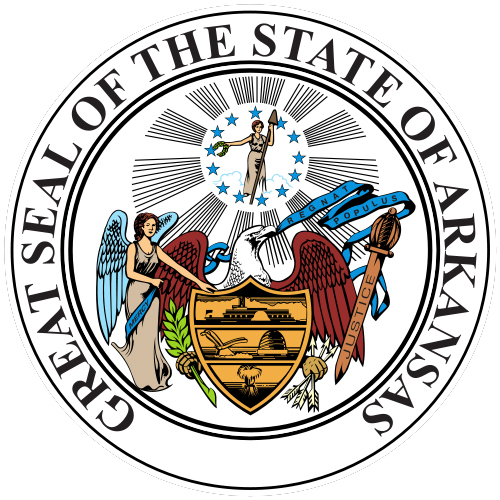 "An eagle at the bottom, holding a scroll in its beak inscribed REgnat Populus, with a bundle of arrows in one claw and an olive branch in the other; a shield covering the breast of the eagle, engroved with a steamboat at the top, a beehive and plow in the middle, and a sheaf of wheat at the bottom; the Goddess of Liberty at the tip, holding a wreath in her right hand, a pole in the left hand, surmounted by a liberty cap, and surrounded by a circle of stars outside of which is a circle of rays; the figure of an angel on the left, inscribed "Mercy;" and a sword on the right hand, inscribed "Justice" and surrounded with the words "Seal of the State of Arkansas." 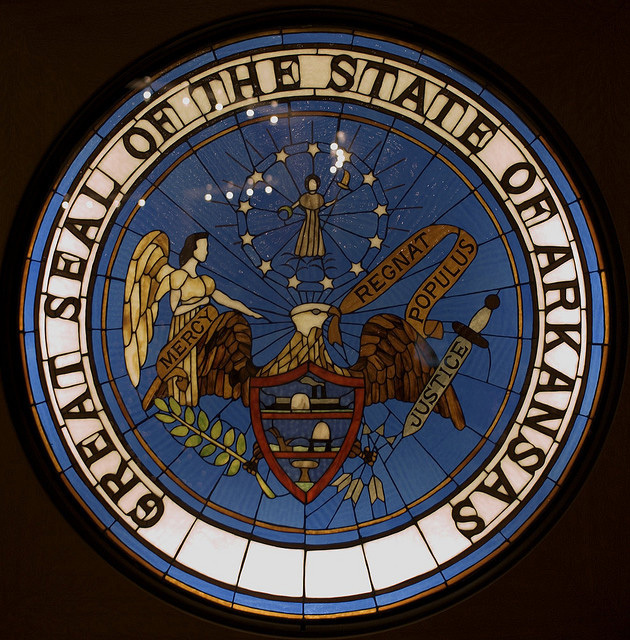 Arkansas state seal at Capitol Building in Little Rock; photo by Adam Bartlett (adam*b) on Flickr (use permitted with attribution).